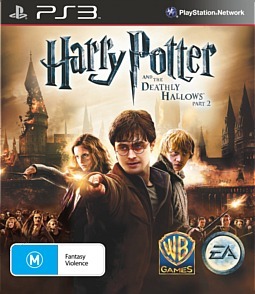 Okay... if you haven't read the last book or seen the current film at the cinemas, Harry Potter and the Deathly Hallows Part 2 than this game will probably spoil it for you. Then again, a true Harry Potter fan would have already read the book and seen the movie. So obviously you are a Potter fan and given these facts, the latest movie was very cool and here's hoping that EA's game, Harry Potter and the Deathly Hallows Part 2 is not just a movie-based but in actual fact a decent game to its core. A gamer can dream can't they? More particularly, a Gamer and Harry Potter fan... right? Uh-oh. 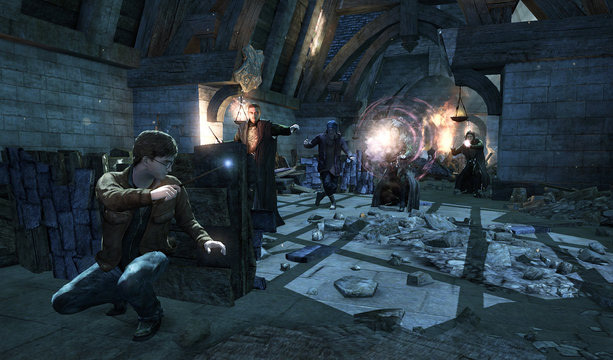 The story of this current game revolves around Harry and his friends as they attempt to locate the remaining Horcruxes of Voldermort in order to destroy him once and for all. With that said, the game is more based on the movie as opposed to the book as you revisit key locales from the film such as Gringott's Bank with the very cool white dragon and the final stand of not only Harry but also Voldermort that actually fizzles in the virtual world. As opposed to just playing Harry, you take on the role of Hermione, Ron, Ginny, Seamus, Neville, Molly Weasley and Professor McGonagall in order to fulfil the key elements of the final book. Initially this is fun. 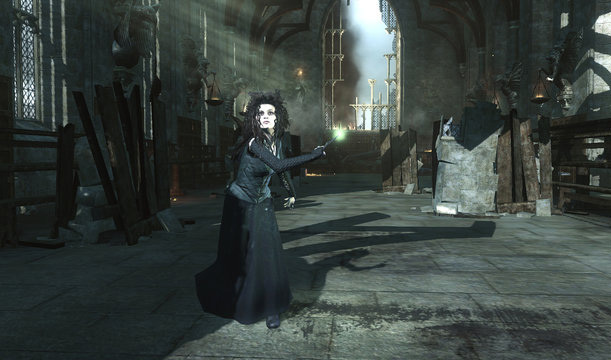 Unfortunately Harry Potter and the Deathly Hallows Part 2 is a game that has been cursed and obviously a Death Eater has cast a horrible hex on the gaming franchise. 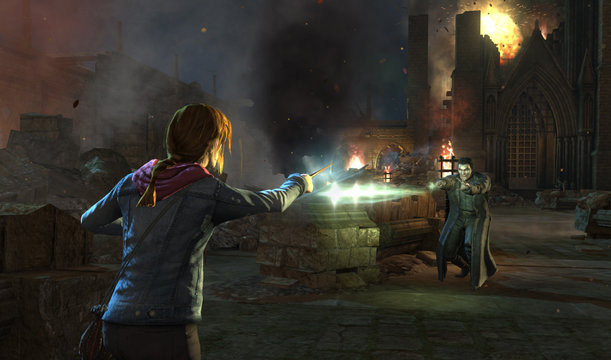 To compound the situation, this game feels quite rushed as you explore the environment in classic third person shooter fashion, shooting things with your wand (PlayStation Move controller) or via the DualShock controller. It's actually quite "hallow" and to make matters worse, the PlayStation Move controls fail to deliver a strong gaming experience but rather, it's primary a tool used for aiming and camera control which lacks any true innovation. There is something definitely missing there. Even though using the PlayStation Move controller as a wand is very cool, it just seems like an add-on to this multi-platform release. In a perfect world, the developers would have made a specific PlayStation Move version that utilised this new controller perfectly. To add to the frustration, the game seems more like a Call of Duty game as opposed to Harry Potter as you shoot your way through the enemies with a few puzzles thrown in here and there. The only difference between Call of Duty and Deathly Hallows Part 2 is that you can use the controller to make a shield. There's even a cover system employed into the game as well. The best way to play the game however is through the DualShock controller which is considerably more sturdy than the Move controller as it is easier to access your spells and interact with the game. I so wish they utilised the Move controller better however. Given that, it's not all bad because the developers have faithfully recreated all the cool spells from the novels and films, even though some seem like a machine gun and a sniper rifle. Another element of the title is that it actually looks like a Harry Potter game and all the characters and environments that you visit look like they have been taken directly from the film so when you see Hogworts, it actually looks like Hogwarts. Enemies are well animated, although a little robotic at times and some of the characters look amazing, especially the main character who look like their move counterparts. To keep things fair, spells are quite limited in the game. For example, spells cannot be used indefinitely as they need to recharge in order to be effective. It's also cool playing the other characters from the novels, although in essence, they are basically the same characters but just look different. It does help with the escapism factor though. Enemies are not that diverse as well and at times, it seems like they just keep coming and coming. 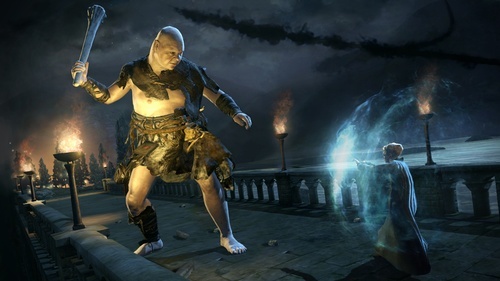 The level with Fiendfyre and McGonagall fighting the giants is the coolest part of the game, however for the majority Harry Potter and the Deathly Hallows Part 2 is quite lacklustre and sadly destined to fail. Even on harder difficulties, it's still quite easy to complete. 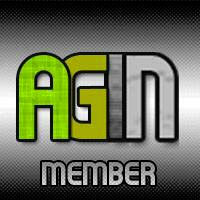 Graphically, it is a good looking game and I don't care what other reviewers think. It looks awesome on the PS3 with its high definition graphics and good attention to detail. Music, sound effects and voice acting is equally as professional but unfortunately the gameplay doesn't meld very well with the overall concept. As a reward, there is some unlockable content such as the Challenge Mode, character models and music from the film. I also forget to mention that spells look awesome. In conclusion, Harry Potter and the Deathly Hallows Part 2 is another movie game that is cursed. 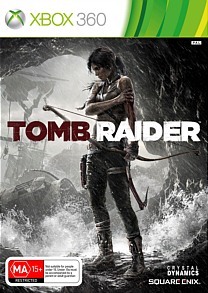 It had the potential for being a great game, considering how cool the final book and movies were and I'm guessing on paper, the game looked cool as well. However when it all comes together with the rushed and un-inspirational gameplay and mediocre PlayStation Move controls, it's definitely a rent before you buy. 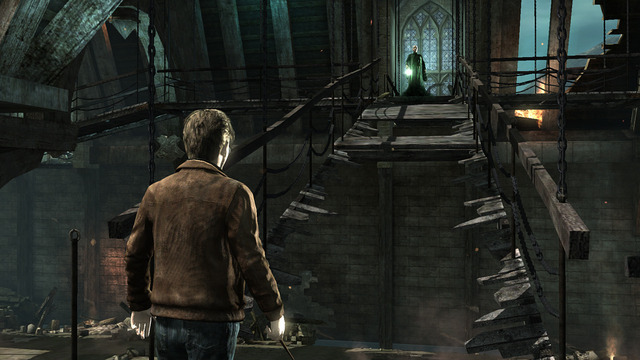 Another "feature" is that once you have finished the game, it opens up another difficulty level but by then, you'll be just thankful that Voldermort is dead. To quote Homer Simpson "D'oh! ".